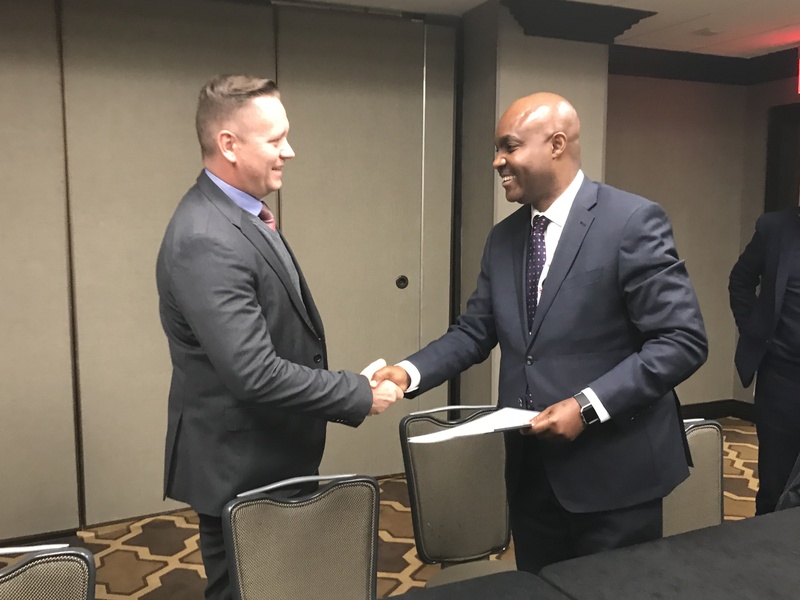 Johannesburg, 10 April 2018 – Intelsat S.A. (NYSE: I), operator of the world’s first Globalized Network and leader in integrated satellite solutions, announced that Vodacom Business Nigeria has signed an agreement for satellite services to expand its enterprise broadband networks and enable new and enhanced services throughout West Africa. Under a new multi-year agreement, Vodacom Business Nigeria will utilize the satellite services on Intelsat 35e to deliver fast, high-quality and resilient broadband connectivity to the banking, oil and gas, and enterprise sectors across West Africa. In addition, the improved performance, efficiency and lower total cost of ownership delivered by Intelsat 35e, the fifth of the Intelsat EpicNG satellites, will enable Vodacom Business Nigeria to further enhance the services being offered to its existing customers in Nigeria; expand its offerings in the enterprise and Internet of Things sectors; as well as extend broadband connectivity in Nigeria. Right: Lanre Kolade, Managing Director of Vodacom Business Nigeria. Left: Hans Geldenhuys, Intelsat’s Managing Sales Director, Africa. Vodacom Business Nigeria, a wholly-owned subsidiary of the Vodacom Group, is a leading pan-African corporate connectivity and telecommunications provider. Vodacom Business works in partnership with the continent's largest businesses in sectors including oil and gas, retail, banking, mining, distribution, and tourism; helping them stay connected across Africa, and to the rest of the world. Vodacom Business’ core infrastructure connects over 580 million people, across more than 40 African countries and includes over 50 satellite transponders, 24 dedicated teleports and access to multiple sub-sea cable landing ports. By utilizing on-the-ground support, Vodacom Business provides system integration and maintenance, high-speed Internet services, Pan-African data networks, enterprise voice, wireless broadband and international VPNs. Vodacom Business’ mission is to build the future of African communications through continued investment in infrastructure, products and services, creating the best value for its customers and the communities in which it operates.